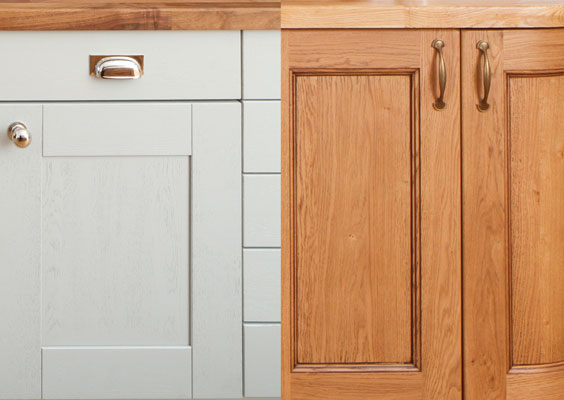 We are proud to offer a selection of solid oak door and drawer frontals to match our cabinet range. 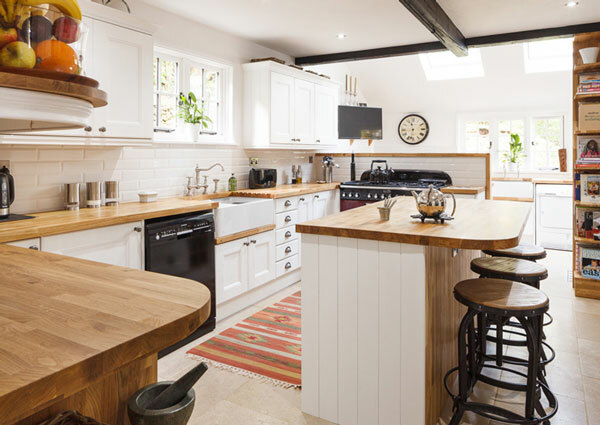 There are two designs available: "Shaker" kitchen doors which capture the simple elegance of the Shaker style; or solid oak "Traditional", an enduring farmhouse design. 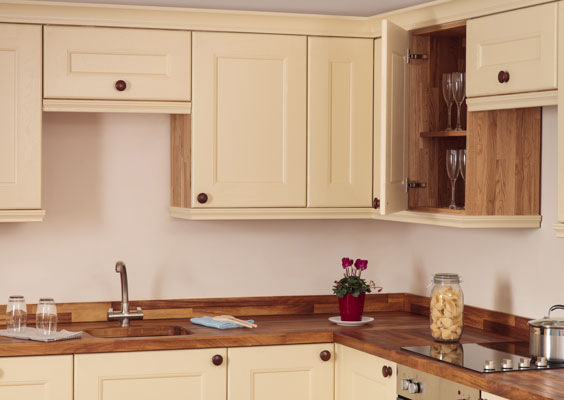 Every product is manufactured to the highest standards by our experienced team of experts, so - when you choose our wood kitchen doors - you can be certain you're paying for quality and craftsmanship above and beyond our competitors. 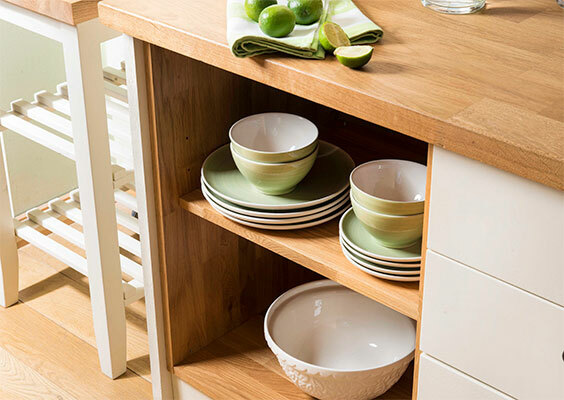 Using one hundred percent solid oak throughout, our cabinet doors are unbeatable value. For similar prices to our competitors who offer only solid oak frames with chipboard centre panels, we are proud to offer this superb range manufactured solely from the highest quality solid European oak. Our "Shaker" kitchen doors are manufactured to a thickness of 20mm and the "Traditional" range 22mm, and both feature a solid centre panel. 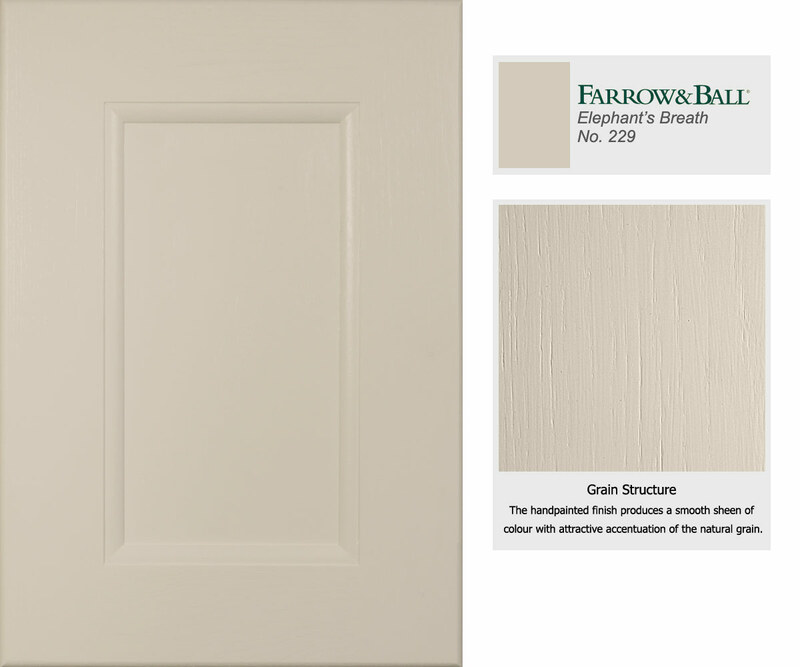 Glazed and unglazed options are now available for each door model. 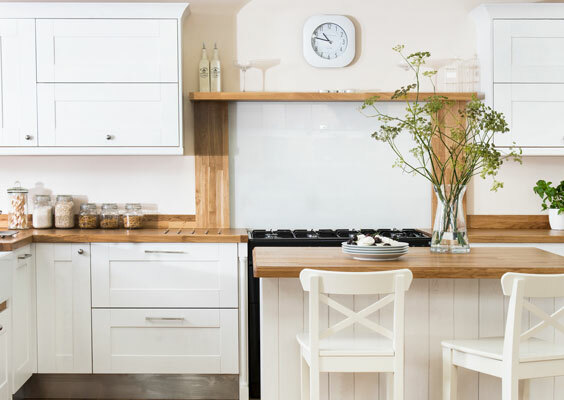 All options feature pleasingly substantial frames, with measurements as follows: Shaker frames are 100mm, Traditional doors that are lacquered have frames of 90mm (with beading), and the Traditional doors that are sanded/painted have frames of 106mm (also with beading). An elegant yet simple design, reminiscent of the popular Shaker movement. 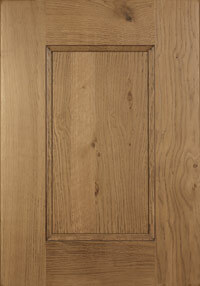 These doors are manufactured from 20mm thick solid oak, with a solid centre panel. Available in a range of finishes. A classic farmhouse design. 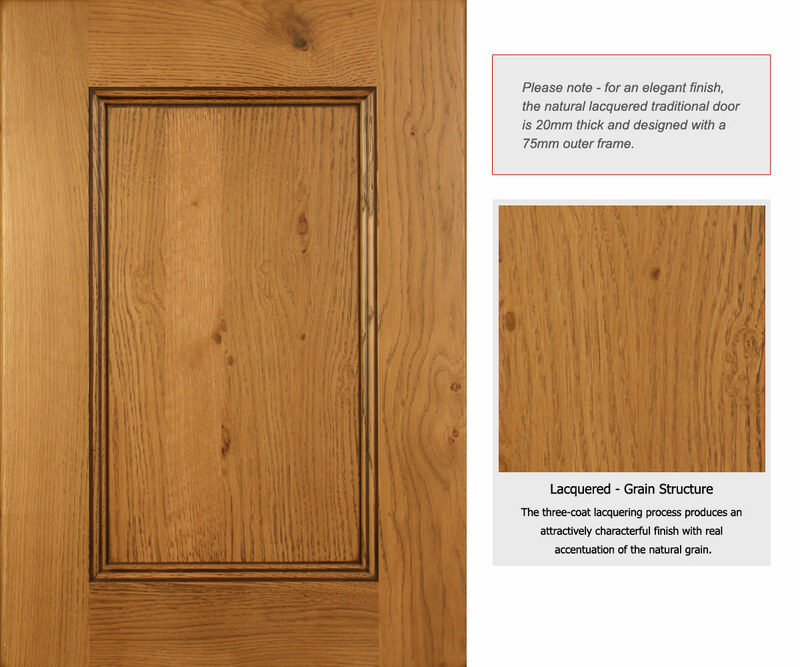 Our "Traditional" doors are 22mm thick with a solid centre panel - all made of solid oak. Available in sanded, lacquered, and painted finishes. Please note that the doors in the images above are unfinished, in order that you may more clearly view the door construction. 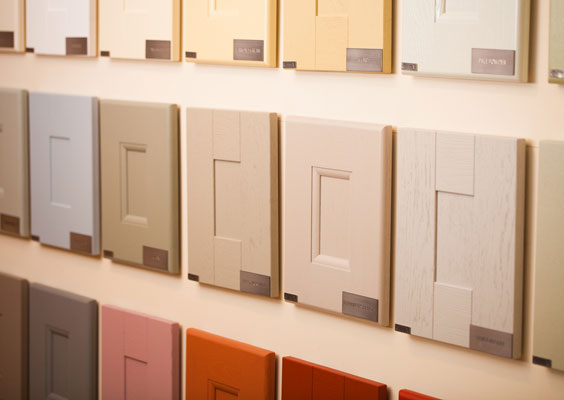 We offer a range of finishes for your doors including painted, lacquering, and sanding treatments. 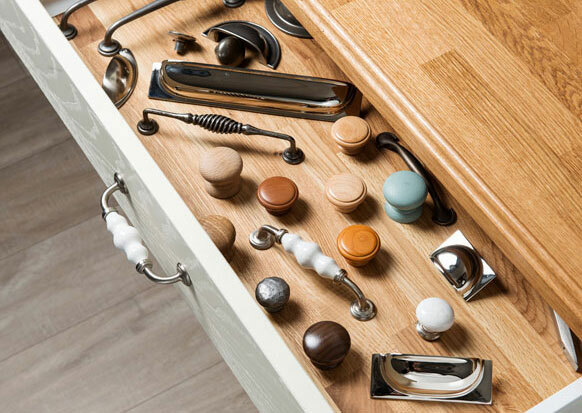 When purchased with cabinets, all solid oak door frontals are supplied with top quality Blum™ BLUMOTION™ soft close hinges as standard; if purchasing standalone frontals, fixings will need to be purchased separately to match your cabinets. 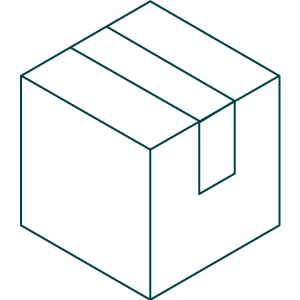 Frontals purchased as a stand-alone item are supplied undrilled as standard, allowing you to choose the required orientation on site before drilling the hinge bores to fit (alternatively, you can opt to take advantage of our handy pre-drilling service at checkout). Perfectly designed to match our cabinets and made from the same premium quality European oak, each door/drawer frontal is supplied fully finished to a high standard. Transform and rejuvenate your interior with replacement kitchen doors: they offer robust functionality, sturdy construction and stylish designs in a host of colours and finishes. 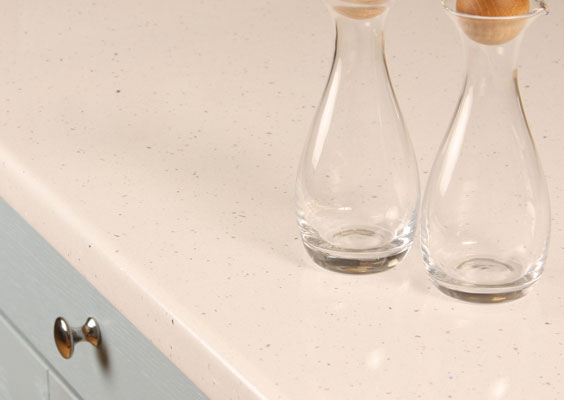 Our frontal samples will give you the opportunity to see how the material, colour and finish complement your kitchen before you commit to buying anything. 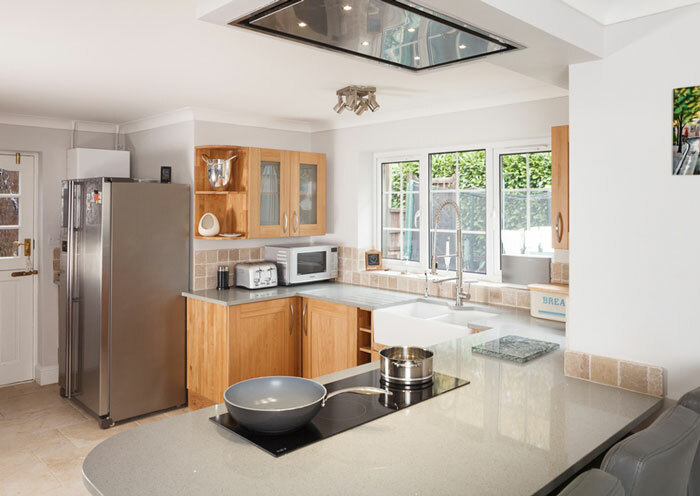 As they are manufactured in Europe, we have an extensive line of replacement kitchen doors, all at affordable prices - we believe that everyone should have access to high quality products irrespective of their budget. If you want to examine any of our items before committing to buy, why not consider trying our samples? 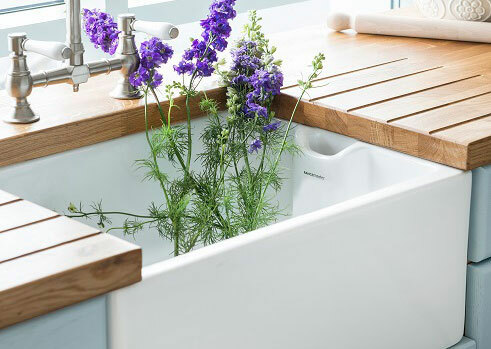 This gives you an opportunity to both view the high quality we aim for and to assess how the material, colour and finish complement your kitchen. Our 'Signature' range of frontals incorporates the six most popular finishes; each designed to perfectly complement our solid oak cabinetry. These are all held in stock, available for prompt delivery. A classic unpainted finish that allows your door to meld seamlessly with the cabinet. 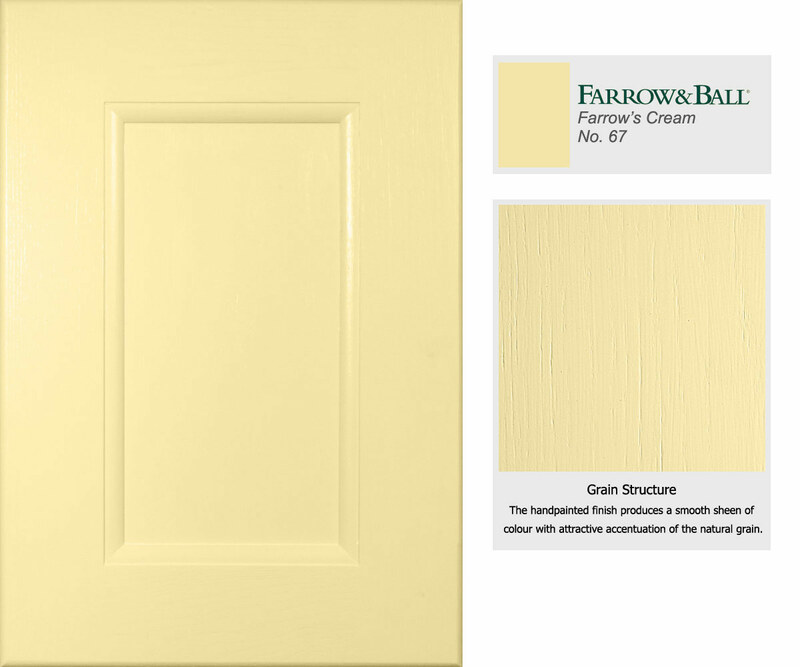 A neutral white with faint lemon tones. Our standard white: clean and crisp. A delicate grey lit with cool turquoise tones. A cool, striking duck-egg blue mingled with grey. A natural door leaves the option of finish to your own preference. Our Lacquered range has been formulated for customers who wish to bring out the natural tones of their solid oak door and drawer frontals. The lacquered door is sanded to a silky-smooth finish and subject to an innovative three-coat lacquering process, producing a classic, unpainted frontal that will meld seamlessly with the cabinet. The finish is stain resistant and allows for easy cleaning. 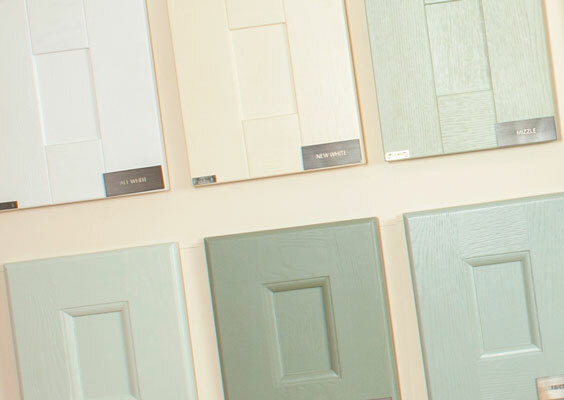 Alternatively, if you would prefer a painted solid oak kitchen door, then our Signature range contains a selection to suit all styles - from the pure, soft tones of 'All White' , to the fresh off-white tones of 'New White', the modest green-grey tones of 'Mizzle' and the cool duck-egg blue tones of 'Parma Gray'. Finally, our doors can also be supplied unfinished (natural sanded) so that you may oil or paint them to your desired finish. 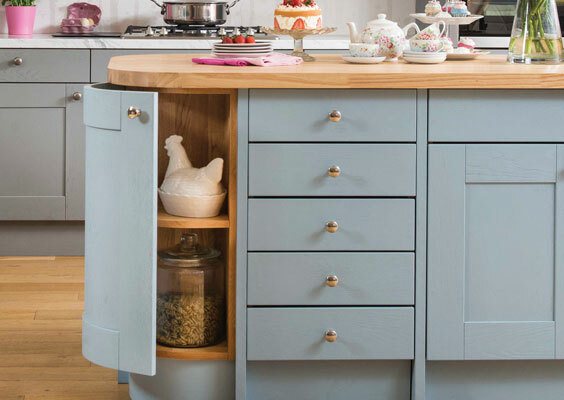 These are ideal if you like the clean, simple beauty of solid oak kitchens. 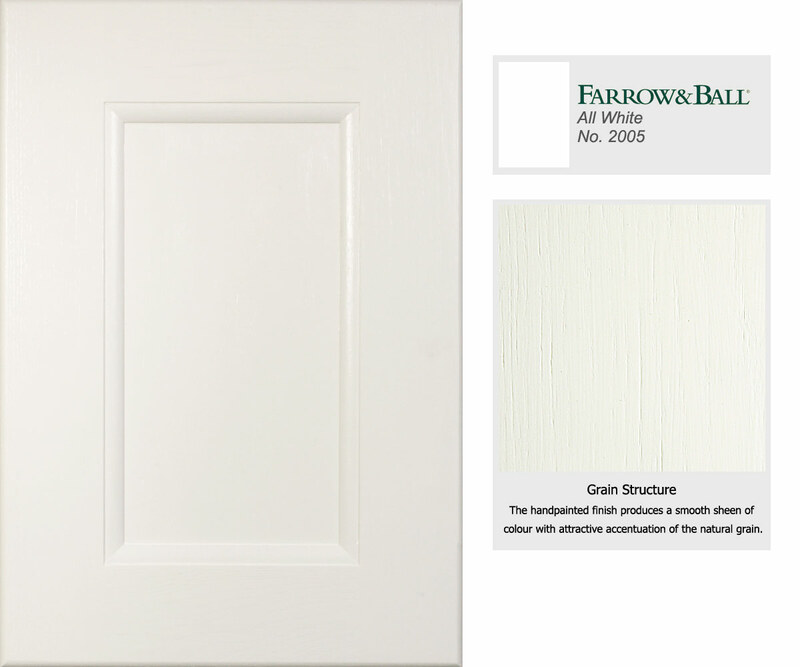 All finishes are available in both our "Traditional" and "Shaker" door designs. We are proud to have chosen Farrow & Ball as our exclusive paint partner. 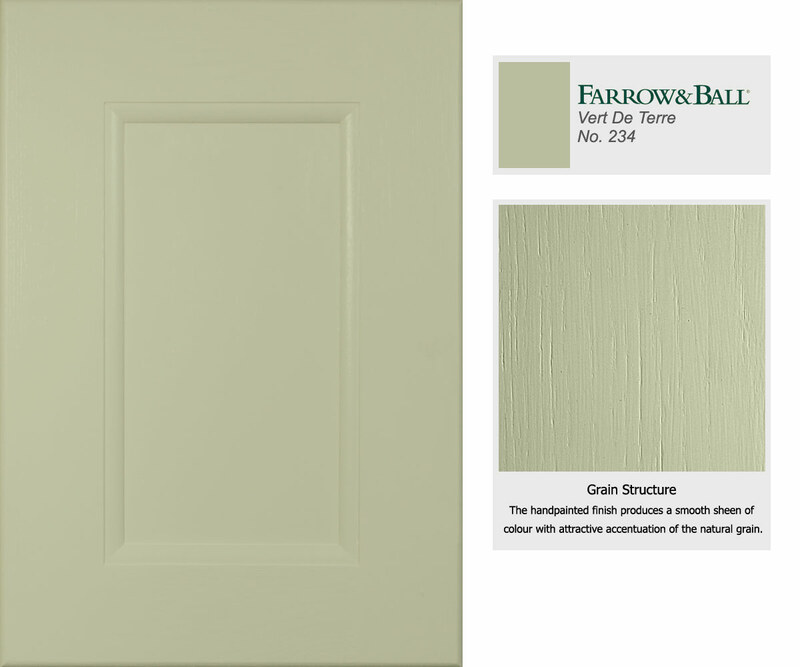 Farrow & Ball paint is natural and water-based (as opposed to acrylic), which we see as vital in order to match the natural integrity of the oak. We are confident that our delicate and detailed hand-finished painting process will not disappoint. First, your solid oak doors are lightly hand brushed before sealing with a water-based primer undercoat made using a traditional alkyd resin. This prevents raising of the grain. Drying between coats is essential for a consistent finish, so we allow plenty of time for this. 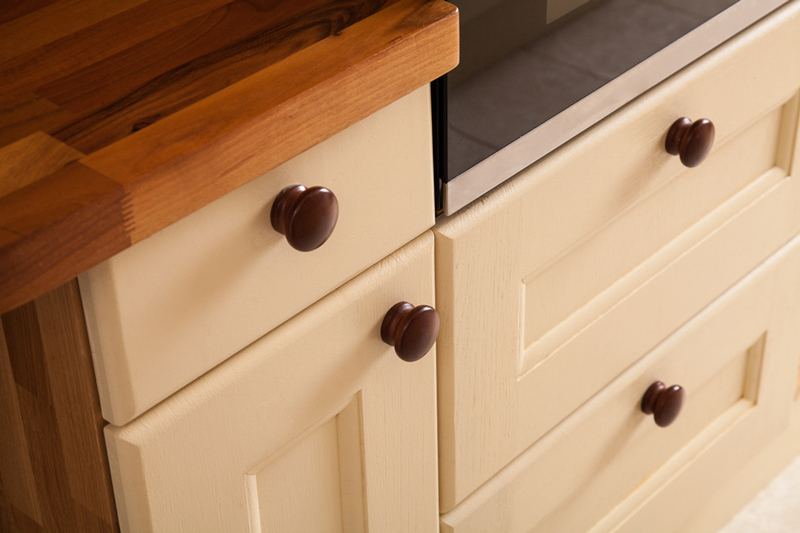 Two separate top coats - in the colour of the customer's choosing - are applied by hand which results in an exceptionally attractive, silky sheen (20%) of colour with characterful accentuation of the natural grain. 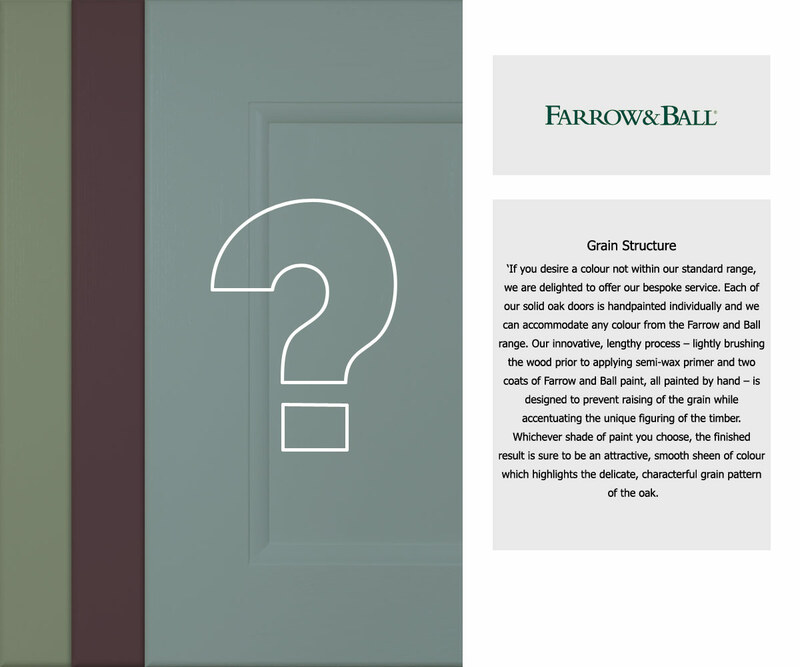 For aftercare, we also supply a free 750 ml pot of Farrow & Ball paint in your choice of door colour with every order of ten or more frontals. Please click the following link for more details about our door finish and process. 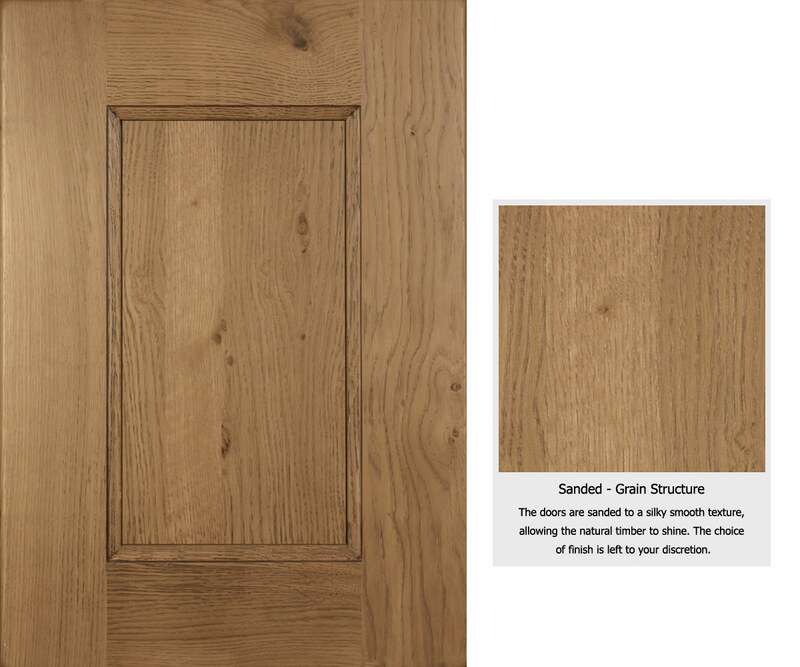 Please note, for continuity of grain throughout the kitchen, our lacquered range of oak kitchen doors have veneer centre panels and solid oak frames. Are you looking for a specific colour that's not included in our standard range? No problem! We offer a full bespoke service. Bespoke kitchen doors are fully finished and supplied painted in the Farrow & Ball shade of your choosing (we can accommodate any shade from the entire Farrow & Ball range), producing a flawless sheen of colour that is exactly to your taste. Please click on any door image to view a larger image, as well as a close up of the grain construction and a colour description (where applicable). For ease of comparison, you can scroll through the maximised images by clicking on the arrows shown in the top right corner of the expanded view. 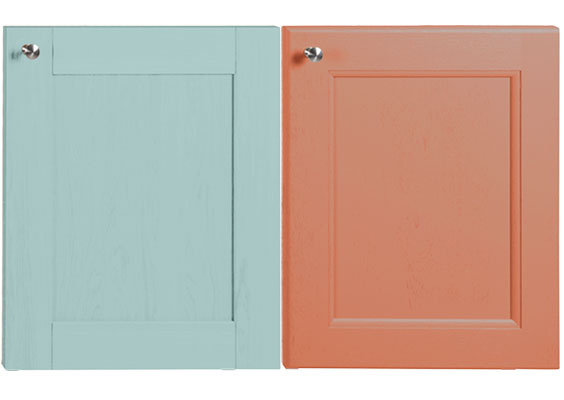 Our bespoke pastel range is made up of a few popular colours. All are complementary and ideal for entire kitchens. We graduate from an off-white (White Tie) to warmer hues of cream (New White and Farrow's Cream respectively). We then have three colours that meld white or cream with faint overtones of other shades to give a delightfully delicate hint of colour: Cord, Pale Powder, and Light Blue. 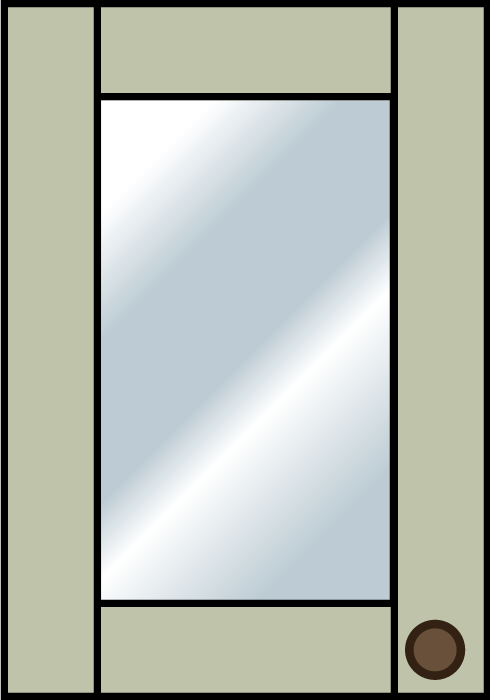 An off-white shade. Warmer in hue than All White. An inviting cream warmed with hints of yellow. A lively, pale cappuccino. Darker than our other cream shades. Blue and green combine in this delicate duck-egg shade. A neutral, delicate blue with hints of grey and green. 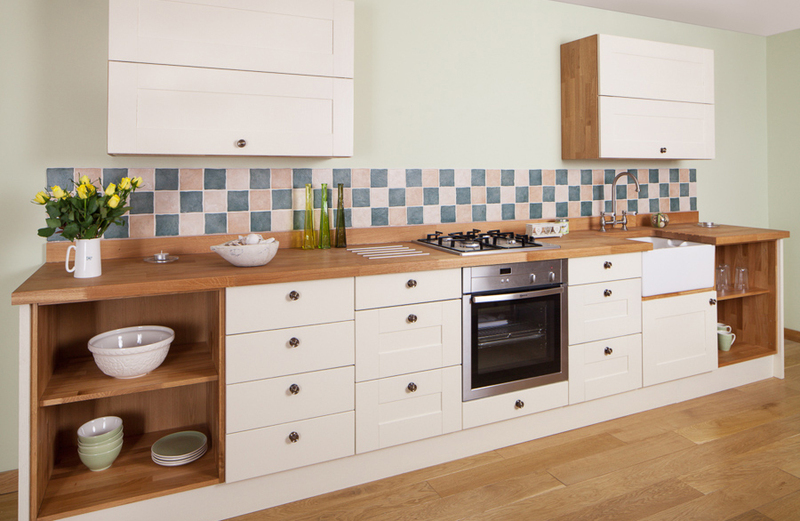 Our bespoke accent range contains striking colours that can be used as a contrast on your units or throughout the entire kitchen. Largely made up of cool colours in varying combinations of blue, grey and green - graduating from the neutral Pigeon to the earthy green of Vert de Terre - these shades are strong enough to stand alone but also work wonderfully well in conjunction with many other colours. Olive and grey combine to give a perfectly light green shade. A cool neutral shade which mingles sandy tones with hints of green. This neutral grey is lifted by tones of delicate mauve. A very pure light grey. A perfect balance of cool and earthy greens. 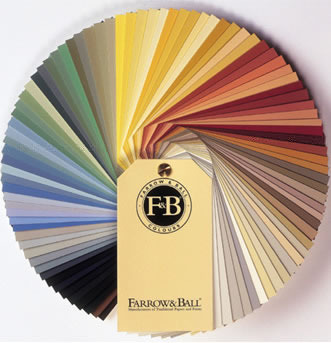 Alternatively, if you have a specific colour in mind, our full bespoke service allows you to select any colour from the Farrow & Ball range. A hand finished door in the Farrow & Ball colour of your choosing. 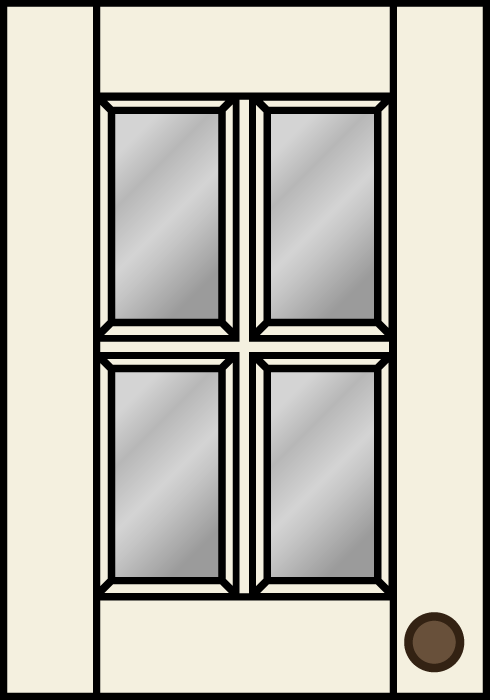 We are in the process of changing the glass in our glazed frontals and will remove our frosted and tinted glass options from the website shortly. Clear glass will be used on both Traditional and Shaker doors moving forward. 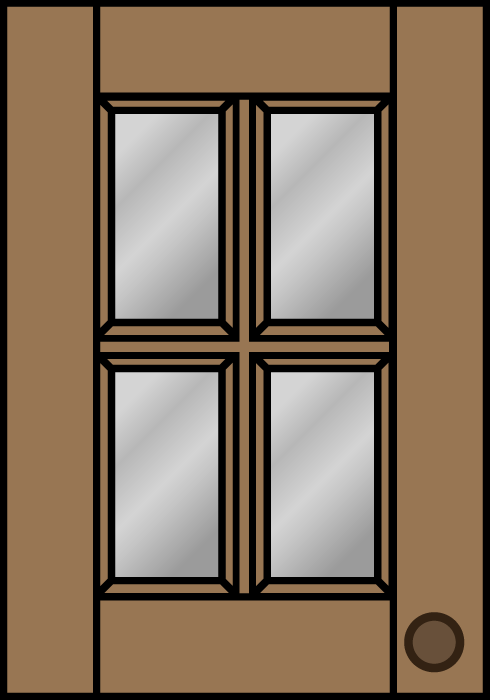 If you are looking to purchase glazed cabinet doors, please contact us so we can advise which style of glass we currently have available. Our new collection of glazed frontals provides a perfect additional opportunity to customise your doors. 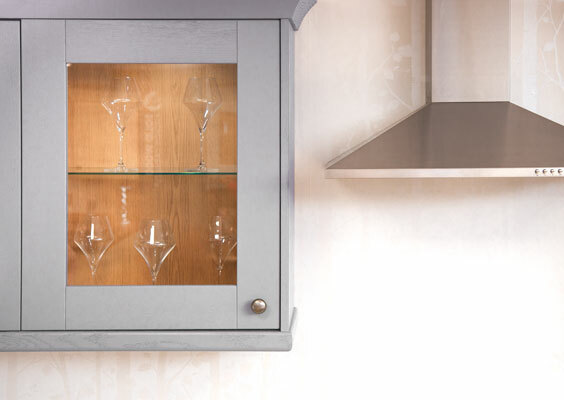 Available in each style - Traditional or Shaker - and in painted, sanded or lacquered finishes, the integration of high-quality glass with solid oak brings an extra dimension to your cabinet. 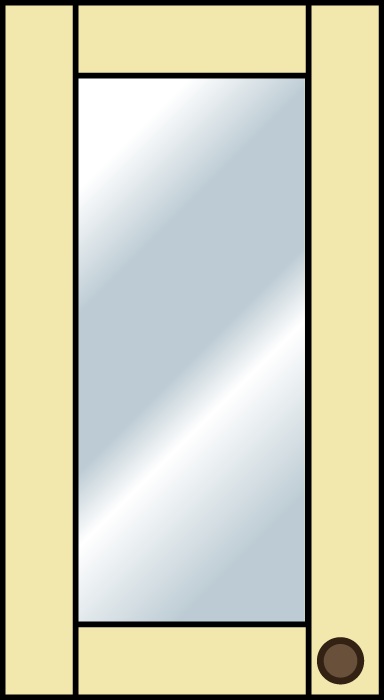 Each style of frontal is paired with a particular glazed option, specifically chosen to complement the finish. Shaker lacquered and painted doors are fitted with frosted glass, whereas traditional lacquered doors come with tinted glass. 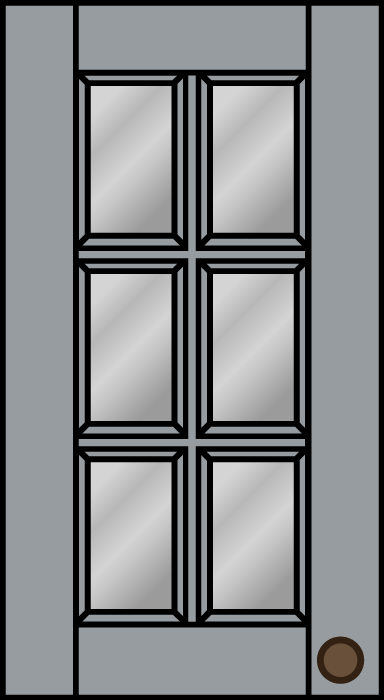 With the traditional painted door option, customers are welcome to choose between frosted or tinted glass; we recommend frosted for paler colours and tinted for darker shades, but both glazed options can be used effectively with any paint colour. 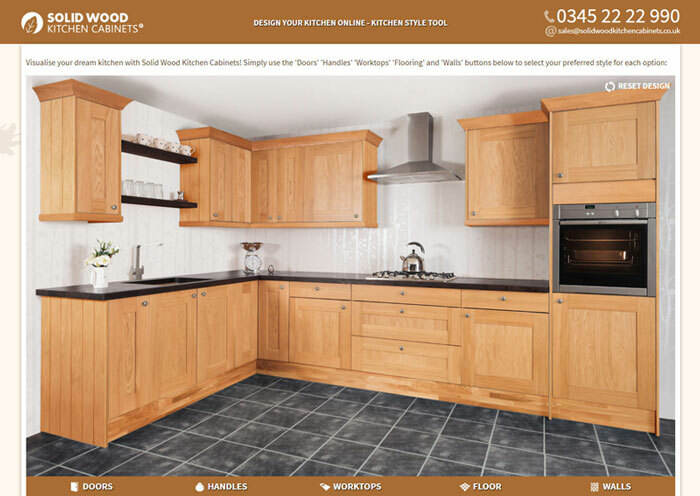 As with all Solid Wood Kitchen Cabinet products, only the highest-quality components are used. Our glass is toughened and manufactured solely in Europe. The quality standard of the glass is BS 6206 CL-A - Class A - which means that the glass is extremely durable and has achieved the highest rating in the British and European Safety Standard tests. 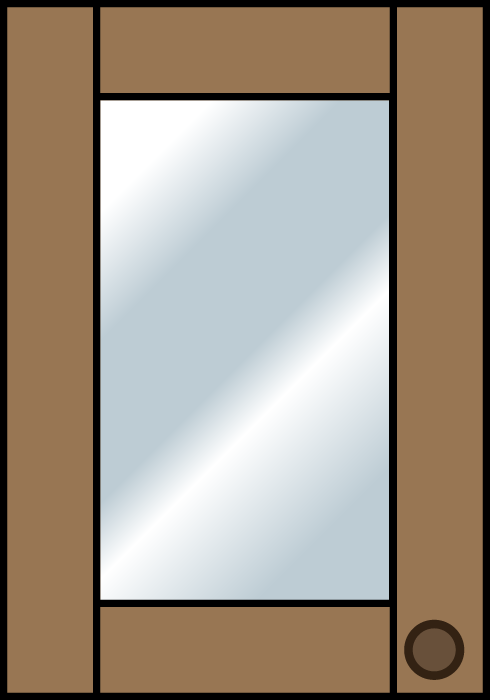 We are proud to provide glazed frontals which are not only stylish but safety assured. Please note, the doors above are shown in W496. W396 and W596 are also available in selected heights. 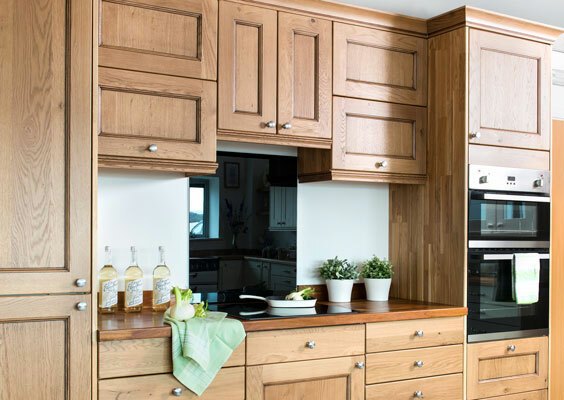 Our solid oak kitchen doors combine the natural beauty of solid wood and the benefit of modern technology with the additional option of a delicate, painted finish. Our doors are manufactured in Europe and as such we are able to hold our entire range in stock at warehouses throughout the UK. Due to the wide selection on offer, we are confident that we will be able to meet your requirements without the need for expensive bespoke units. 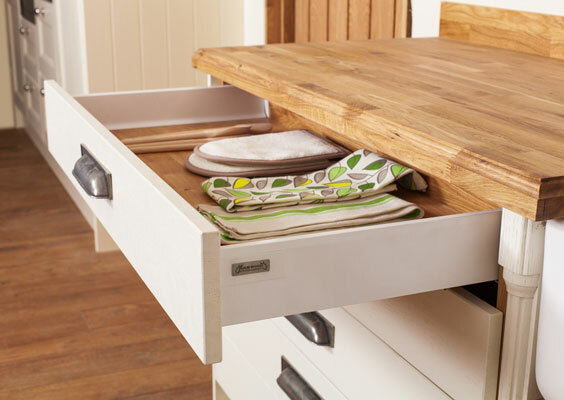 All of our solid oak door and drawer frontals which are ordered alongside cabinets are supplied with top quality Blum™ BLUMOTION™ soft close hinges (standalone door frontals are not supplied with fixings; these will need to be purchased separately to match your cabinet). Our staff bring years of experience to the sourcing, design and manufacture of our doors. We believe that our range is truly unbeatable. The highest quality natural materials combined with the practicality of a premium finish providing a product of superior, timeless versatility - and all at affordable prices with fast delivery. 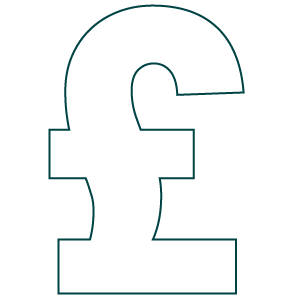 Why pay for an inferior product with a slow turnaround when we can offer unparalleled quality, speedy delivery and a superb range of options at similar prices? 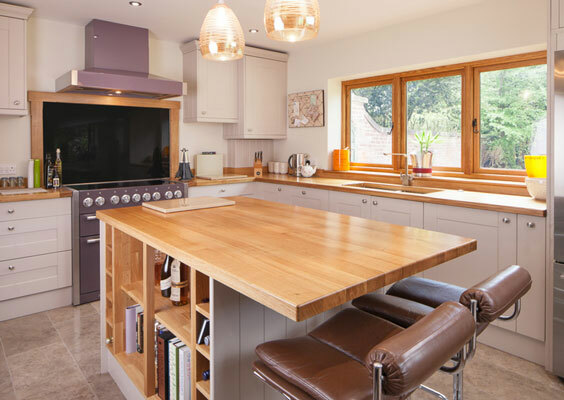 Unlike many of our competitors who advertise solid wood products and then manufacture in chipboard or tulipwood, our kitchen doors are only manufactured from high quality, sustainably sourced, solid European oak. We offer a flawless product for extraordinary value. 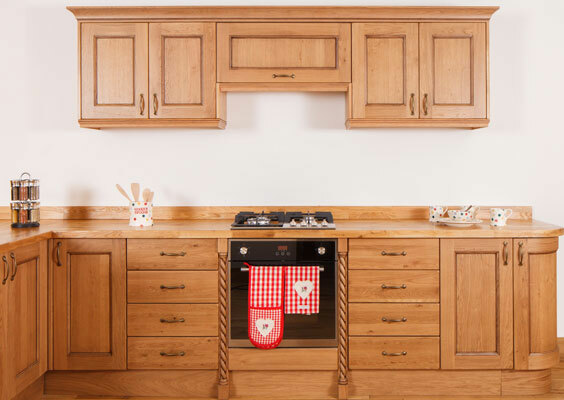 Our range of solid oak door and drawers can be purchased with matching solid oak cabinets or as a standalone purchase if you are simply looking for high quality replacement kitchen frontals. Our doors can also be supplied unfinished by request, so that you may oil or paint them to your desired finish. Please contact us if this is of interest. As a standalone purchase, our solid oak frontals are supplied undrilled, which means they are suitable for any orientation of hinge requirements. 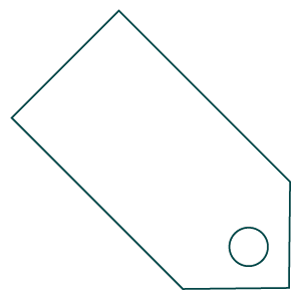 We are able to provide a service that pre-drills the holes prior to delivery, which can be selected at checkout. Alternatively, we supply a DIY hinge drilling machine, allowing you to prepare for the fitting of your frontals at your leisure. The EcoDrill - as used in our cabinet workshop - is now available to purchase or hire from www.solidwoodkitchencabinets.co.uk; please visit our dedicated EcoDrill page to find out more. Please note: when purchasing cabinet frontals as a standalone item, hinges are not included. 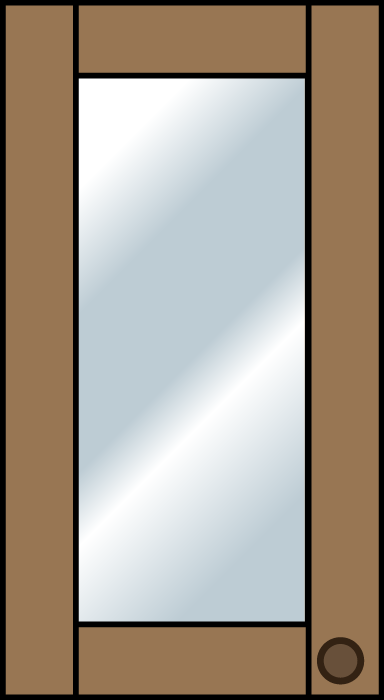 Hinges are supplied as standard when units with cabinet doors and/or frontals are purchased. 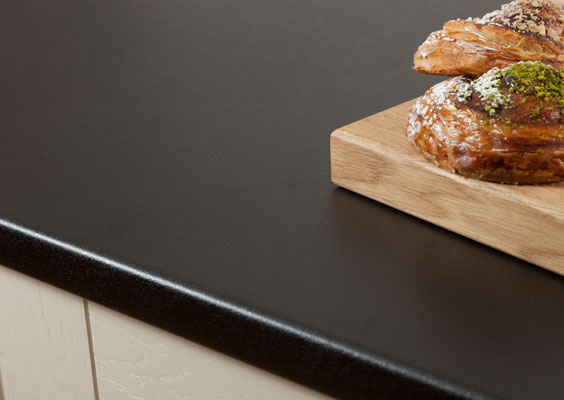 We offer a variety of complementary accessories that have been specially designed to match our popular solid oak frontal range. 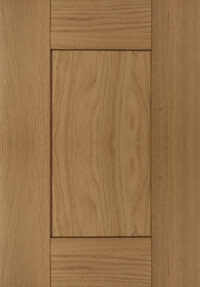 Solid oak end panels are simply stunning, providing a sleek, uniform finish to a run of cabinets. 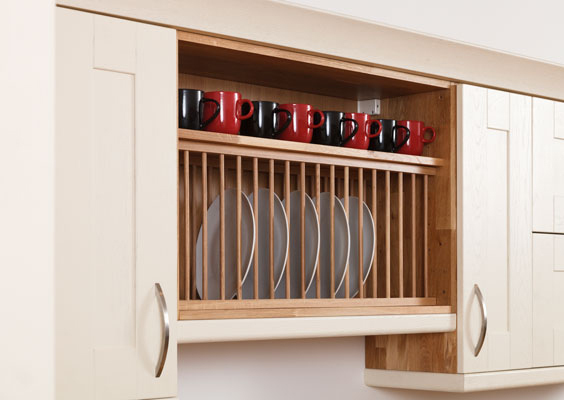 We stock end panels in various lengths and finishes in order to give Solid Wood Kitchen Cabinet customers the widest selection of possible choices. Please visit our End Panels page for more information. 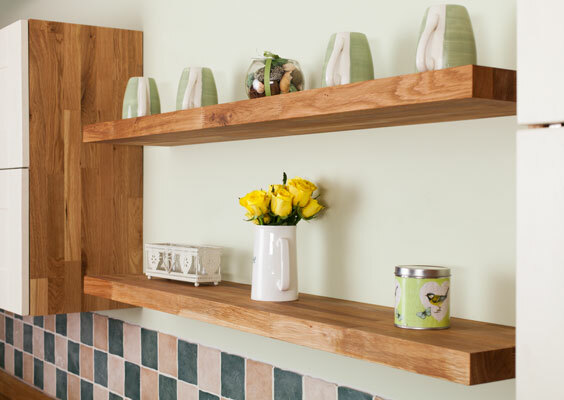 Our solid oak pilasters are the perfect way to add some extra decoration to your cabinet run or ensure a clean finish. These items are available in a variety of sizes and finishes; please view our Pilasters page for further details. Our corner posts are made from solid oak, are available in a range of finishes, and can be purchased as standalone items from our Corner Post page (please note that we do include a corner post automatically with each corner solution unit order). Must-have items if you would like to create a flawless look, our cornices and pelmets are made from solid oak and can be finished to match your frontals. Curved or straight options are available; please visit our Cornices and Pelmets page for expanded information on this collection. Our superb timber plate racks offer a wonderful alternative for storage and also make an attractive feature. More details can be found on our Solid Oak Plate Racks page. Prices displayed below are for frontals with our 'Signature' range of finishes. 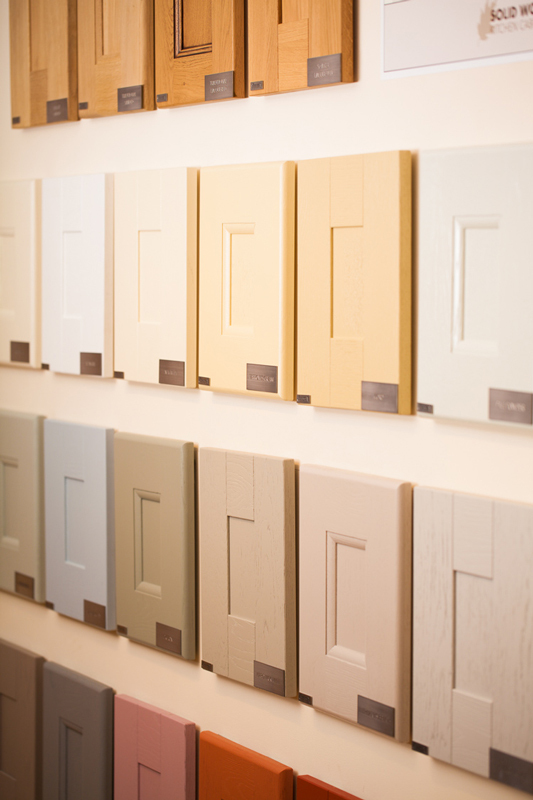 If you would like to choose a finish from our bespoke range, please note that this will incur a small surcharge. 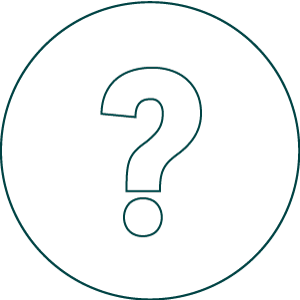 Please opt to purchase doors and select the options you require to view a list of sizes and prices relating to your preferred finish.